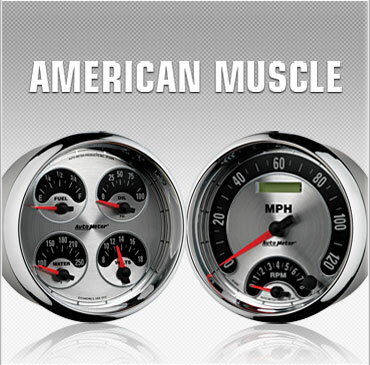 The fastest growing Series in the AutoMeter line, American Muscle dominates the dashboard with styling ripped straight from Detroit steel and powered by the best in modern internals and technology. When night falls, our cutting edge Hi-Def™ LED lighting proves that great form is defined by dedication to function. A spun metal dial and a bright chrome bezel set off a look that could make the perfection in your dash rival what's under the hood.